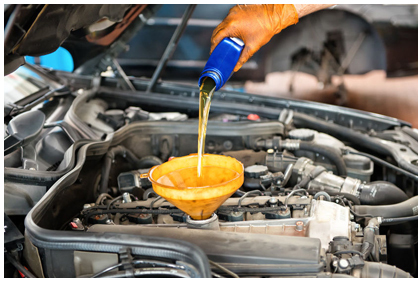 Established in 2013, WS Oil Company Pte Ltd engages in marketing and providing lubricants and oil specialities for automotive, industrial and marine sectors. At WS Oil Company, we aim to provide high quality products and cost effective solutions to our customers. WS Oil offers a wide range of products and intergrated solutions to serve our customers within the south East Asian region. WS Oil products are now available and being sold in Singapore, Malaysia and Indonesia. WS Oil Engine oil is accredited with America Petroleum Institute (API) and is ISO (9001- 2008) certified. WS Oil lubricants are extended to include a wider range of applications from automotive engines to metal working fluid and grease. WS Oil products are developed and designed to optimize performance in all areas of application. In industrial and commercial applications, WS Oil lubricants provide protection for equipment operating under severe conditions, allowing them to run longer and smoother, thus reducing equipment downtime and maintenance costs. to be a leading provider of high quality lubricants, oil specialities and intergrated solutions for our partners worldwide. High quality products and services; abreast with latest technology and materials to ensure continuous improvements in product development and performance. Being flexible and prompt in meeting customers’ business needs..
We offering a wide range of world class Industrial and Automotive lubricants. In-house expertise with very sound sales and technical advice. We are ideally suited to address any technical queries and business needs pertaining to lubricants. In addition, we are in the best position to offer alternative solution for lubricant needs with savings up to 40%. 24/7 Industrial and Automotive Lubricants Portal. Order lubricants online anywhere, anytime, with just a few mouse clicks.